Warwick Forbes- Head of AIS Europe. Sport Medical and Physiotherapy services: Sports Medicine and Physiotherapy (April/May to August), Australian categorized athletes receive full medical support. Sports Nutrition (March to October)The ETC kitchen/Caterers are assisted by an Australian Accredited Sports Dietitian and all meals are tailored to support the nutritional requirements of visiting teams. The on-site dietitian can assist any team with special dietary requirments. A physiology laboratory is available for visiting Australian teams with an embedded physiologist. Visiting international teams with Medical staff can utilise the Physiotherapy/Medical rooms if required. International teams requiring use of the physiology laboratory should enquire about its availability. Admission of athletes of other countries: Australian athletes and teams have precedence (usually between April/May to August) but it is possible to share the facility in these months with the Australian teams agreement. International teams are welcome and many European countries have already conducted extensive training camps at the ETC. Residence number of beds: There are 25 rooms including 7 disabled rooms, to house 50 persons twin share, the building is fully wheelchair accessible. Other facilities include a recreation room, TV room, large laundry and a fully-catered dining hall. In addition self-catering kitchens if required. 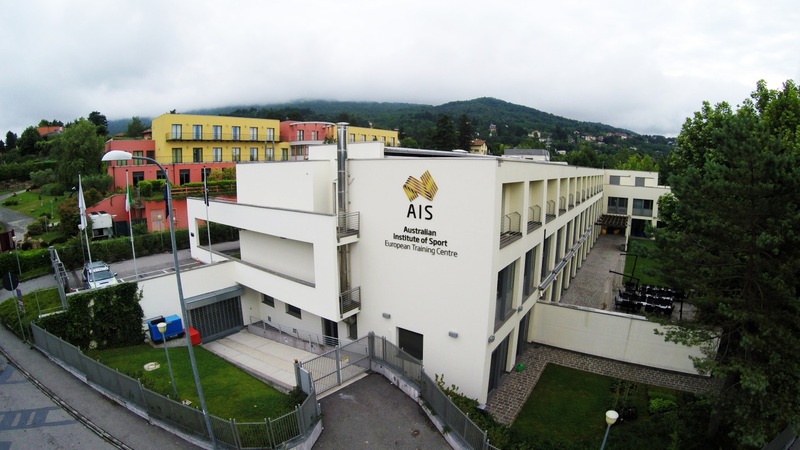 The ETC is a "Home away from Home " for Australian Olympic and National athletes, replicating the facilities and services that the AIS offers in Canberra, Australia. The centre is open to other international teams in the months that the Australian athletes are not present, usually January to April and September to December. European Rowing, Canoe and Cycling teams regularly conduct training Camps at the ETC as lake Varese in considered one of the best rowing lakes in Northern Europe, it has calm waters, and a temperate climate. The mountains behind Varese offer cyclists great training possibilities with some roads named after famous riders, i.e. the Ivan Basso climb. The ORICA Bike Exchange team is based close by and the roads are constantly being used by professional teams. Varese is a strong basketball town but there are many other attractive sporting facilities in the region.